There is no online registration for this event. Please contact the ACT office at 604-205-5467 or 1-866-939-5188 to register. For Parents, community professionals, including Behavior Consultants, Speech-Language Pathologist, Occupational Therapists, IDP Consultants and health professionals. Autism-specific? No – applicable to a range of children with special needs. 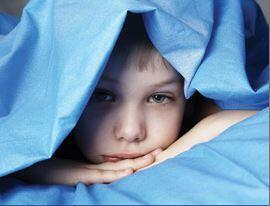 Many parents assume that nothing can be done about their nightly struggle to help their child with ASD go to sleep and stay asleep throughout the night. However, research is demonstrating that although common, poor sleep in children with ASD can be tackled effectively and that parent training is key to success. A good night’s sleep is fundamental to all children being able to learn and for their parents to function, and this event is relevant to both professionals and parents who are looking for practical steps that parents can take to reap the benefits of improved family health and quality of life. While developed specific to autism, many of the strategies that Dr. Malow will describe are relevant to children with a range of special needs. There will be plenty of opportunity to ask questions. inviting a parent volunteer to design a program for their child. Phenotyping Sleep/Wake Behaviours in Children with Autism (pdf) is a research seminar with Dr. Beth Malow, moderated by Dr. Osman Ipsiroglu. More information on this free seminar is available from this PDF. There is no cost to attend this half-day research seminar, but there are very limited seats. call the office at 604-205-5467 or toll-free at 1-866-939-5188. Dr. Beth Ann Malow is the Burry Chair in Cognitive Childhood Development, Professor of Neurology and Pediatrics, and Director of Vanderbilt University’s Sleep Division. 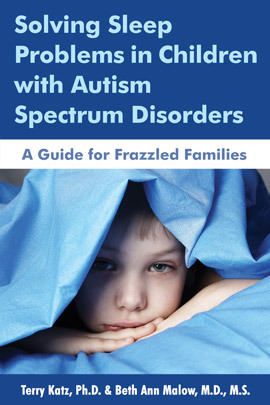 Dr. Malow is the co-author of Solving Sleep Problems in Children with Autism Spectrum Disorders – a Guide for Frazzled Parents, available this summer. A parent of two children with ASD, Dr. Malow has great compassion for parents and a deep understanding of the practical techniques that parents can use to improve attention and behavior and lessen anxiety through better sleep.